16 hours of not talking over a weekend is harder than it sounds. Leaving our voices outside was the first guideline in Deaf Services Queensland's Community Auslan Introduction class. Auslan is short for Australian Sign Language. It is a language in its own right with its own vocabulary and grammatical rules. Auslan has evolved since British deaf immigrants brought their language to Australia in the 19th century, creating linguistics unique to Australia. 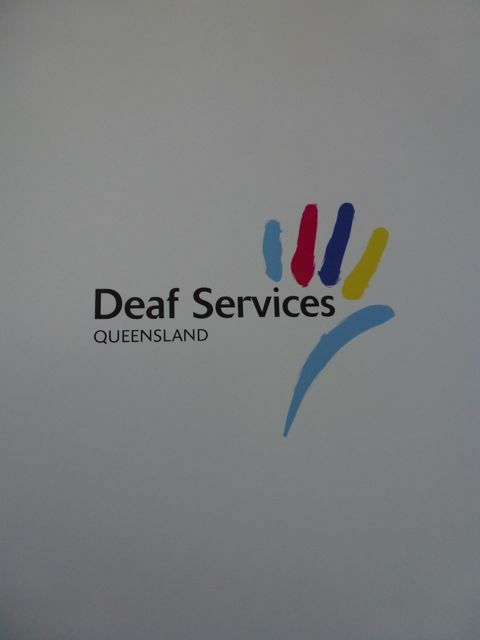 Deaf Services Queensland is a-non-for profit organisation that has been delivering Auslan courses since 1985. Their flexible approach to learning allows students to choose between attending an 8-week course for two hours a week or participating in an intensive weekend at Deaf Services Queensland's Head Office in Moorooka. Focusing on hand shapes, movement and facial expressions, I learnt how to ask questions, introduce myself and sign the alphabet, sports, emotions, time, directions and colours. In a fun, relaxed environment, students practice eight of Auslan's 31 major hand shapes including a spoon hand, hook hand, gun hand, flat hand, point hand, spread hand, fist hand and good hand. The Community Auslan Introduction course is one of three Community Auslan classes designed to introduce participants to basic Auslan conversational skills and the Community. This course is designed for participants with no previous Auslan experience. 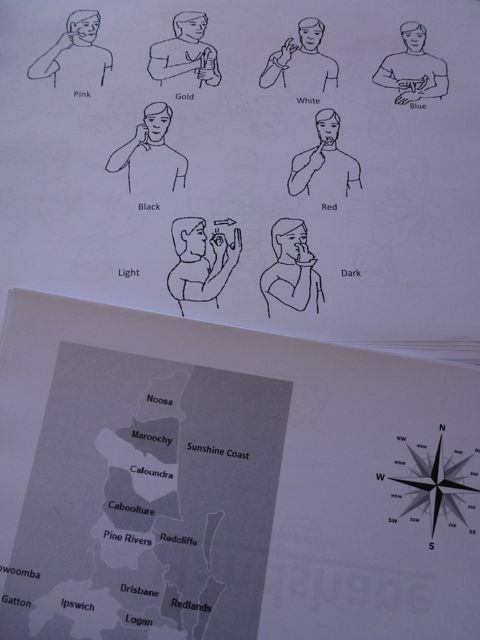 Handouts are provided with illustrations for most of the signs taught and participants are provided with plenty of time to practice this visual language. Classes cost $185 for adults and $165 for concessions and are held across many Queensland locations including Brisbane City, Bundaberg, Caboolture, Cairns, Mackay, Maroochydore, Maryborough, Moorooka, New Farm, Ormeau, Palm Beach, Toowoomba, Townsville and Underwood. Sign up now as enrolments for Term 4 close 25 September 2016.